I would say there is a hypothetical relationship between Performance Management and Quality Management: both care about objectives, performance improvement, designing internal processes, data collection, monitoring and overall productivity. Please provide us with a brief description of your professional path. Aisha Zayed Al Ali is a graduate of the Performance Management Program from the Cranfield University, in the UK. She holds a Bachelor degree in Health Sciences from Sharjah University, a Master’s of Public Administration degree from the Dubai School of Government, affiliated with Harvard Kennedy, as well as a Master’s in Business Administration, double majoring in HR & Marketing. She has attended the UAE Government Leadership Program and the leadership program at McMaster University, Canada. Aisha is an expert in strategic planning, EFQM assessment and policy analysis. Having started her career at the Ministry of Health (MOH), she moved afterwards to the General Authority of Youth & Sports Welfare (YSW), the Federal Electricity and finally, to the Water Authority (FEWA). She is currently the Director of Strategic Planning and Corporate Performance at Mohammed bin Rashid School of Government (MBRSG). Which were some of the most important moments in your professional development? My undergraduate experience at the University of Sharjah and the specialized leadership programs offered there played a big role in shaping my profession. Earlier in my career, I moved from Health Science to Quality Management, as the Head of Quality Division. This was possibly the turning point for me, as the trust given to me from the top management motivated me to specialize in Total Quality Management and later in Performance Management. When your top management has confidence in your ability, as an employee, you will work hard to enhance your skills for self-development, but also to increase organizational success, because there’s so much trust put onto you. Nothing speaks more loudly about individual achievements than a person’s own work. As such, another important moment I would like to mention was during my time as a Manager of Excellence at FEWA, under the umbrella of the Federal Government, when FEWA was honoured with the Emirates Excellence Award as the best Federal Entity in 2012. Fast forward to the present day, I obtained a degree in Performance Management from Cranfield University. This built upon my belief that developing your skills can make you better in fulfilling any new role. It was also the moment when I moved to the Higher Education Field, as a Director of Strategic Planning and Corporate Performance at Mohammed bin Rashid School of Government (MBRSG). All of these moments left a profound effect on my career. Do you have any role models, personally and professionally? How do you feel they have influenced you? On a personal level, my parents are my pillars of strength & solidarity, but my grandmother will remain my role model, as she was always very supportive. She used to say nothing should stop you from achieving your goal, as success is something you can make. She was confident, strong and considerate to others. Professionally-speaking, many have participated in shaping my career. First off, I’d mention HH Sheikh Mohammed Bin Rashid Al Maktoum, who formed the new modern public sector in the UAE. He inspired and motivated us to bring our best, and has always desired us to be the best. Secondly, Professor Tarek Coury, who supervised my Capstone in Socioeconomics, where my paper won the best research paper. Thirdly would be Muhammed Yunus, the Nobel Peace Prize winner, for his role in founding Grameen Bank. Were there any books, movies or other influences that were significant to your professional path? In which way? I like to read books on psychology, human & market behaviors and also a lot of international reports from the World Bank, like the World Development Indicators Report, the Policy Research Reports (PRRs) or the semi-annual report on Global Economic Reports, as these present interesting information from the World Bank’s research on policy development, for developing economies. From Big Data to Big Profits: Success with Data and Analytics by Russell Walker. Start with No by Jim Camp speaks about the negotiation tools. Banker to the Poor: Micro-Lending and the Battle against World by Muhammad Yunus. How did you begin your career in the Performance Management field? I was introduced to Performance Management when I moved to Quality Management. This paved the way to understanding performance management in the Public Sector, as a specialization, knowledge base and field in general. In fact, I would say there is a hypothetical relationship between Performance Management and Quality Management: both care about objectives, performance improvement, designing internal processes, data collection, monitoring and overall productivity. What does Performance Management mean to you? After my initial foray into the field, performance management became part of my leadership style; I learned to lead by results, while keeping focus on corporate performance, business improvement and contributing to corporate objectives. In the same vein, performance management encouraged me to focus on people skills and participate in capacity building. Together, as one team, wherever I was, we worked to transform our organization, by measuring business performance objectively with the support of metrics. What benefits do you see in using Performance Management? Initially, the organization should agree on the model or framework for their strategy. Once it is agreed upon, implementing it can be a very facile job. The easiest tool to begin with is the Balanced Scorecard, which matches perfectly with both the private and public sectors. The key benefits of applying the system of Performance Management in public sector is that the top management and the Board of Directors are now more involved in Business Strategy. A performance management system allows them to exercise their governance responsibilities, as well as making managers more accountable to their targets and employees more involved in achieving them, as they know what is expected from them. The large availability of data, which you can get from the measurement system, helps people focus on areas that need improvement. 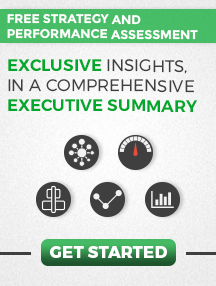 Why would you recommend using a Performance Management system within an organization? To find your position in the current competitive market, your business needs to have a performance management system in place, to help create an integrated business environment. With so many readily available metric readings, your organization will take a big leap in terms of improving its results. Moreover, internally, everyone’s role becomes much more important, as it is needed to support the culture of corporate performance. We rely on people to implement the system, which in turn requires focusing on skills development. 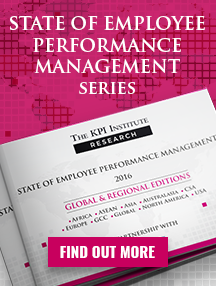 Which are the most challenging aspects in Performance Management? 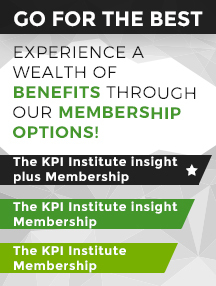 One challenging aspect is the misconception around KPIs. A majority of employees perceive it as a system of control, not a system of improvement, which in return pressures a company’s Strategy team to obtain relevant data on time. This becomes even more cumbersome when you factor in the fact that many people cannot understand the difficulty of crafting the Corporate Business Strategy in the first place. 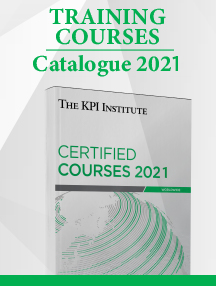 Another challenge relates to data validation, which is very time-consuming if the number of KPIs is higher than 70% of business operations. When that’s the case, I’d generally recommend developing only the most relevant core KPIs to your business and during the designing phase, employees should also participate in selecting them, with the Strategy team explaining why it is done that way and how it brings improvements. What could be improved in the use of Performance Management tools and processes? When it comes to PM, the company needs to keep the business plan constantly revitalized, by performing ongoing updates. The plan must evolve alongside internal and external changes. Whenever it needs improvement, just implement them and do not wait for the annual review. Try to always simplify the process of performance management; don’t forget that organizational entities are under pressure to deliver seven stars customer services. This is where the role of Quality Management – Lean process improvement comes into its own, as a useful tool that can optimize processes by which you reduce process cycle time and improve the quality of service. What do you consider as best practice in Performance Management? Keep the Business Model updated, and make sure it fits your current purpose, read the customer behavior and respond to the changing world. I also encourage all Strategic-planning departments to participate in Research and Development studies. Now that I think about it, the data they would need is already at hand. They will find it in performance reports, customer surveys and market analysis; just reuse that data and supplement it with in-depth analysis, this will help the firm think differently about the existing problems and will lead to confident decisions. The other thing is to activate a Risk Management system and ensure it links with the Business Plan. Do not burden your schedule with extra meetings, discuss it during the regular performance review meetings and link the risk impact directly to the related areas of Finance, Customer, Internal Process and Learning & Growth. Which are the greatest achievements in generating value, as a result of Performance Management put in practice, which you have noticed so far in your career? The Concept of data integration, how to integrate the Strategy with the Government trends. Simply put, it is about data collection, data blending and data reporting; it is your degree of accessibility to your data and their explanation. It is how you make your data open to others by moving from rich data to big data. What is your approach to Individual Performance Management (talent management, succession management, individual assessments, compensation and benefits, etc.)? I like to seek out challenging opportunities to test my skills and abilities; there should never be a moment without an intellectual and technical challenge, which is the most important thing for success. Knowledge is power and focusing on employees’ development is a necessity, we depend on them in performing the job, therefore every employee should be armed with the associated information and resources to perform their job well. Beside the training programs, I believe in on-the-job training. A manager can change negative views to positive ones by coaching his team to work together and be engaged, in order to achieve the department’s objectives. Simultaneously, there should be a degree of freedom where people can think differently and do their work differently. 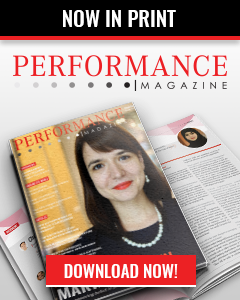 How can a company’s management get the employees’ buy-in for the Performance Management system? Keep people involved and informed, communicate the strategy to everyone in your entity. The Strategy team spent days working to craft the Business Plan to its final shape. Now it is important to find the best way to convey that plan to people inside the organization. Without effective communication strategies, the implementation process will be hard for every person. Allow employees to participate in the planning process, take their feedback and show them that their input is important to help them work toward one vision by being open and consistent. Patience is power, which in turn means that the Strategy team not only needs determination but persistence. They need to be able to deal with negative opinions, which will be pointed at the Strategy team whenever there’s signs of hardship. However, by working through feedback and challenges, we can make our goals achievable, develop solid plans, and have milestones that we can work on. What do you think of the emerging trend of measuring your performance outside working hours? Outside the office, I am a totally different person. I like to spend time practicing my hobbies and volunteering in social activities in the UAE. I manage my budget perfectly and plan my activities for the whole month. At the same time, I like to make it simple. If plan B did not work, I always have plan C, and I never get upset when things change for me. I see changes as a new challenge that are worth a trial. Know your purpose. You are here for a reason. Create a healthy life-work balance threshold, work on developing your skills in a way that will fit you in any picture! Try to do things differently, do not break the rules, keep your promises and be that wonderful personality in work and life. Can you think of a career advice you would offer to Performance Management professionals? Work on your talent and increase your capacity, circulate with experts and participate in research. At work. try to coach and mentor people, be open to receiving & sharing knowledge, and enjoy being the Strategy Expert.